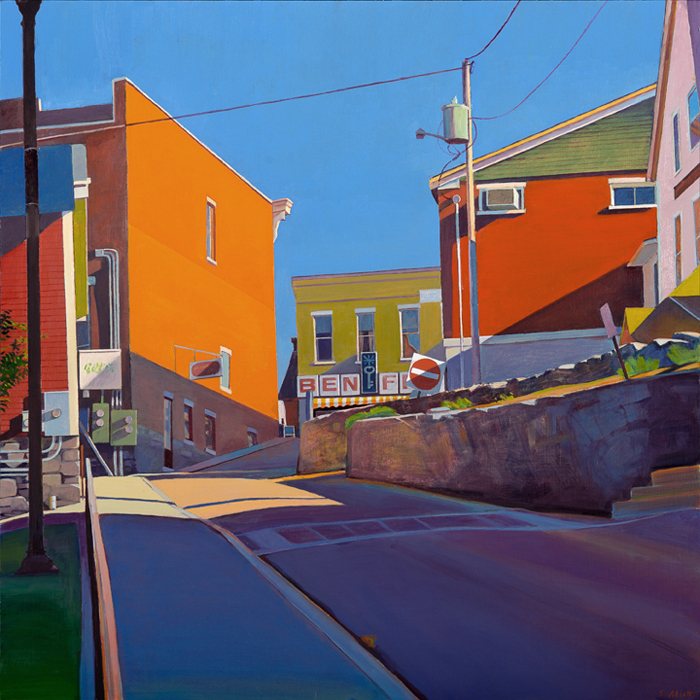 Larry Groff interviews painter Susan Abbott. Abbott remarks: "I used to go back and forth on trying to figure out how to construct my paintings. It felt like a very big philosophical issue to me, and was exhausting (much more so than the actual painting) to try to decide whether there was a right and wrong way, a more honest and rigorous way, to build a painting than I was using–or whether that question even mattered. I really respect the conceptual framework and discipline of artists like Antonio Lopez Garcia, Avigdor Arikha or Stanley Lewis who work only from direct observation. But at some point in each painting I seem to veer away and start to invent, either to try to salvage what I’ve got going, or because I’m excited about a possibility that’s developing on the canvas. I fought that tendency to edit and invent for a long time, but I’ve finally accepted that whatever way a painter figures out how to get something down on canvas is ok. It’s a very personal choice, and the proof is in the pudding, in the power of the image."